The Canon XF300 shoots video using the Material Exchange Format, otherwise known as MXF. However, this compression format is not easily supported by Adobe Premiere, sometimes resulting in playback and crashing issues. Fortunately there's a way to overcome this by simply converting the MXF files into ones that are Premiere-friendly. 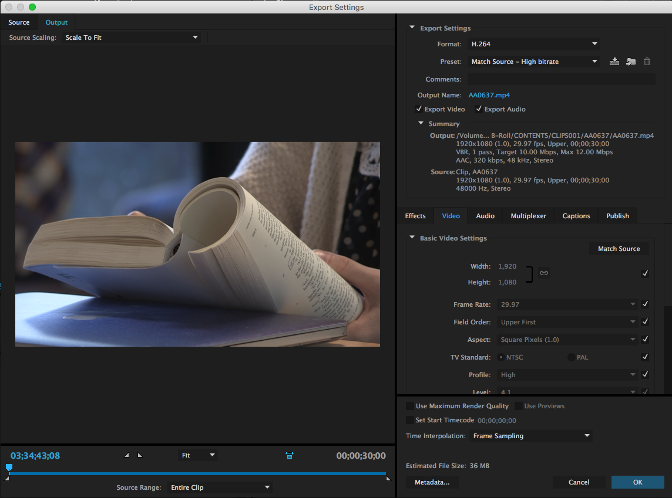 Converting the files is easy when using Adobe's Media Encoder. When shooting footage using the Canon XF300, the media is stored on a Compact Flash card (CF card). When transferring the media from the card to your portable drive, it's important to transfer all the files, not just the MXF. Your instructor will help you transfer the media from the CF card to your portable drive. 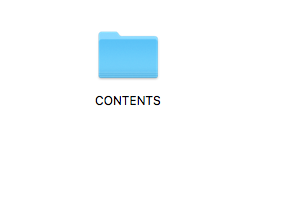 From inside your project folder you will have a folder called CONTENTS. NOTE: When you shoot footage over more than one day for the same project, you might organise the clips better by creating a new folder inside your project folder and naming it with the date of your production shoot. Then transfer the CONTENTS folder inside this new folder. Inside the CONTENTS folder will be another folder called CLIP followed by a number, which the camera assigns during the shoot. Look inside the CLIP folder and you'll find numerous folders each with a designation corresponding to a clip number that was generated in the camera. 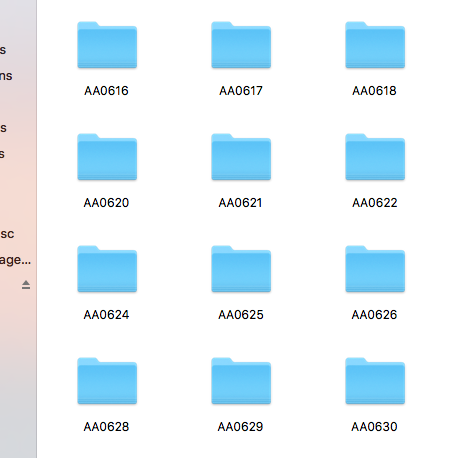 Inside each of these folders are the media files associated with the video and audio of each clip. The MXF file will typically appear with a VLC cone as its icon. Double-clicking the MXF file will open the VLC media player. You can then preview the clip. 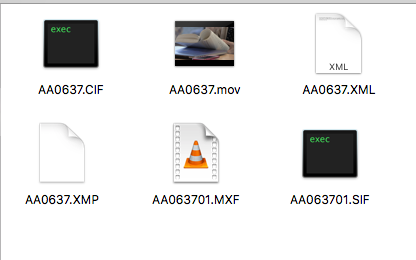 We're interested in converting the MXF files that are contained in each of these clip folders. To do so, we need to open the Adobe Media Encoder. You'll find the icon in the dock on the computer. Click to open. It may take several seconds for Encoder to open. Go back to the window that shows the clip folders. In the upper right of the window you'll find a Search field. 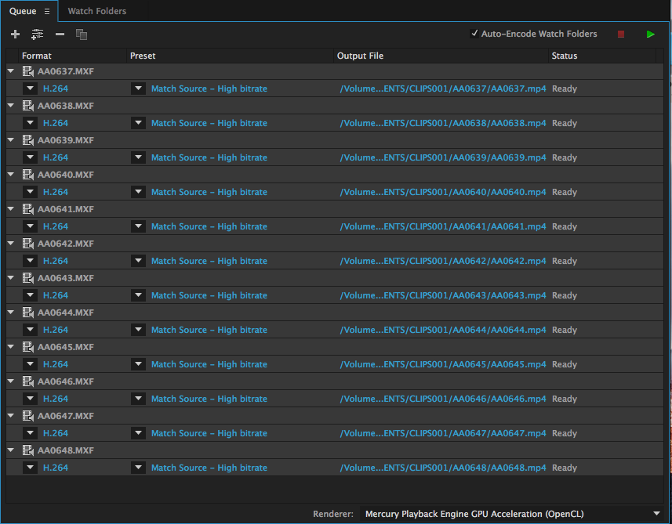 Type mxf in the Search field. This way, you'll be able to isolate all of the mxf files that need to be converted from your folder. 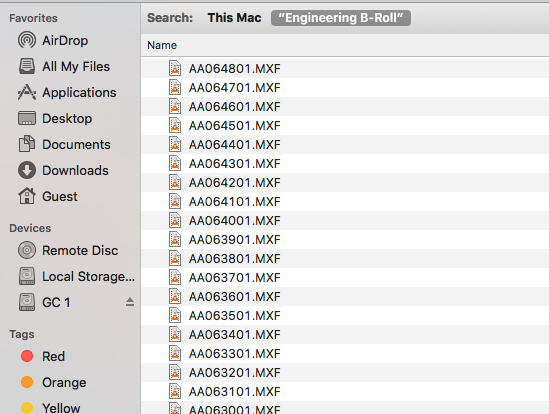 Make sure that you select the folder from where all of your MXF files are stored. 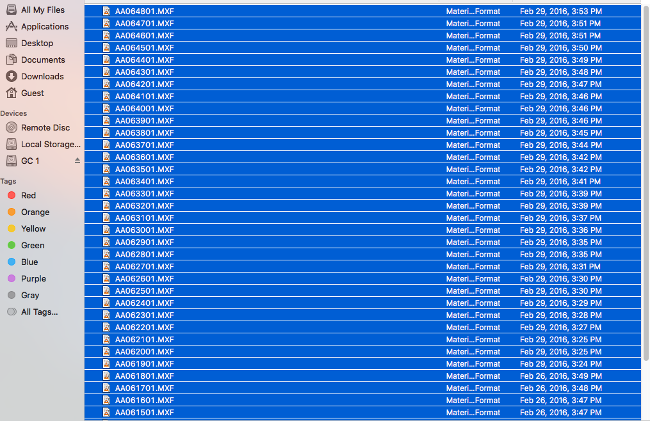 When you select the folder, all of the mxf files from that folder will appear in the list below. Note the panel in the upper right. In this panel above is where you will need to drag all of the clips you want to convert. Go back to the list of MXF files and highlight all of them by clicking Command + A. 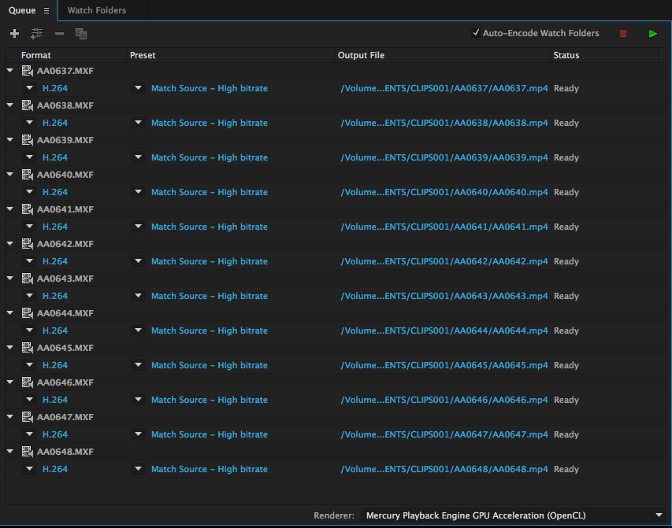 To start converting the files, or encoding, first highlight all of the mxf files in Encoder. 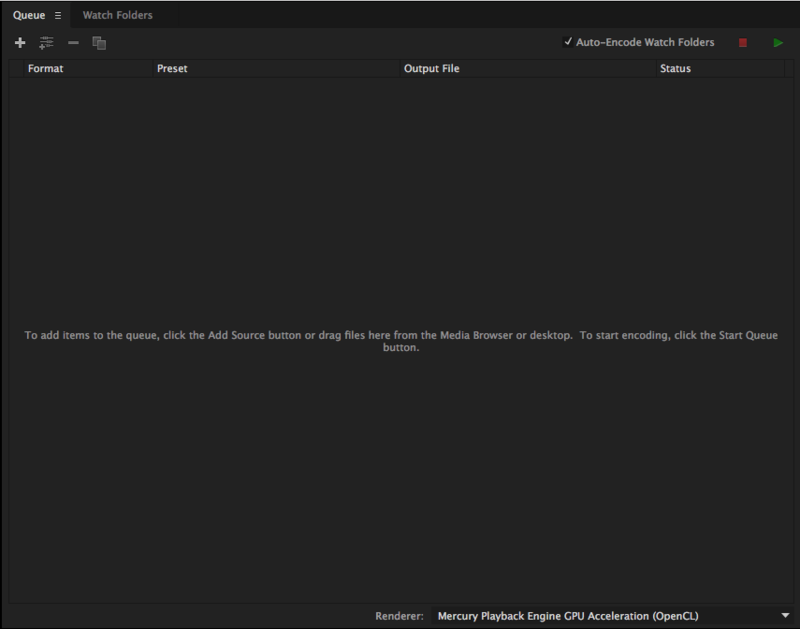 Simply click Command + A.
Click OK, which will then open the Encoder Export Settings window seen below. In the upper right panel, where you see Format, select Quicktime. In the Video tab below, select Apple ProRes 422. This format is a lossy compression format, high-quality video codec that is ideal for use in Premiere. Under Basic Video Settings, make sure that Quality is set to 100. Click on the Audio tab and make sure that the Audio Codec is set to Apple Lossless. Click OK, which will then take you back to the Encoder interface. In the upper right portion of the window, click the green arrow, which will start the Queue and begin the encoding process. Each of the MXF files will be converted into MOV files, which will then appear alongside the original files in the individual clip folders. 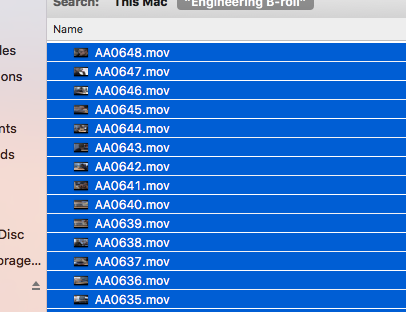 When you need to import the MOV files into Premiere, it's first helpful to store all the MOV files into their own folder. To do so, all you need to do is select the MOV files and move them into a new folder, which you can then select when you're ready to import the clips into your project. You can create new folders for the b-roll and a separate folder for interviews if you like. Importing the folders into Premiere will help you avoid cluttering the Project Panel and you can then find your clips much easier. 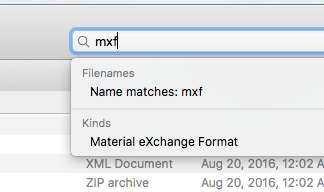 Select the MOV files the same as you did when you searched for just MXF files. 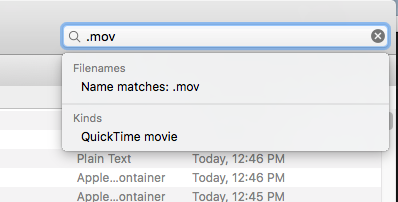 Use the Search field and type .mov, and then make sure that you have the right folder selected. Then highlight all of the MOV files and drag them to your new folder (you might need to open a second window to show your new folder). Ask your instructor for help if you have questions. One final thing - you can always rename the .mov clips according to what's on them as long as you do so before you import them into Premiere. 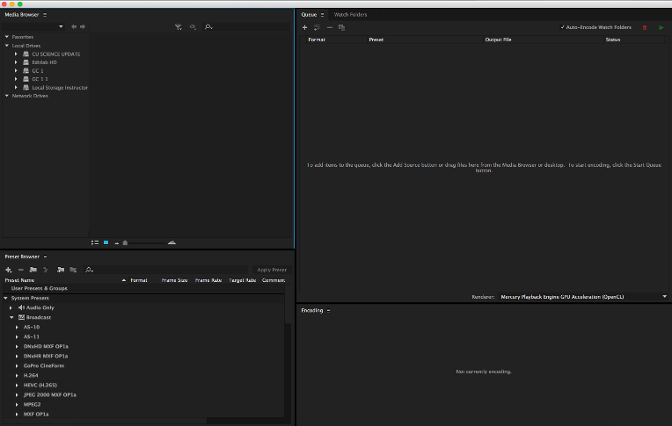 Never import the clips and then change the source clip names, otherwise the clips in Premiere will go offline.